At what point do the moral claims we in the rich world make for our actions in the poor world stop being just relatively harmless, feel-good stories to which government officials turn when they need to enlist the support of legislatures, and to which activists resort in order mobilize constituencies, and start becoming cognitive stumbling blocks to actually getting the poor the aid they need in ways that serve their interests rather than our own? The way the major private philanthropies, above all the Bill and Melinda Gates Foundation, now hype their own programs should come as no surprise. A century of advertising should have taught us that it is not only in war that truth is the first casualty. So if we choose to rely, as global development work increasingly does, on the new 'philanthrocapitalism'—to use the title of a recent bit of journalistic hagiography about the charitable work of Gates and his billionaire peers—we should not complain when such institutions apply to philanthropy the same techniques they used to vastly overstate (let's be charitable) the qualities of their products, while ignoring their defects and limitations. States were once held to a different standard: There was a time when it was thought to matter when they lied to their citizens, no matter how fine the ends that made the lies seem justifiable. But in an age where even nations increasingly are understood as being brands, I suppose that this is not especially surprising either. When President Obama used the occasion of this fall’s U.N. General Assembly to announce expanded new American commitments to food security, poverty alleviation, and development in the poor world—or, at least, to those countries whose democratic credentials had earned them Washington’s approval—the inflated claims that he, Secretary of State Hillary Clinton, and U.S. Agency for International Development (USAID) administrator Rajiv Shah, made about what a radical improvement these programs represented over what the Bush administration had done, and how much more they were likely to achieve, those who welcomed these initiatives explained away the inflated claims being made for them as nothing more than the customary (and politically necessary) exaggerations that go with selling anything, from breakfast cereal to foreign military interventions. Some of this indeed does go with the territory: We are not altruism machines, whatever totalitarian scolds like philosopher Peter Singer may choose to imagine. Nor should we aspire to be. It is no moral lapse to care more about your family or your neighbors than about people who live far away and who you will never meet. To the contrary, at the very least such concerns are entirely defensible morally. And because of this, the practical policy implication in terms of global development work is that in order for governments to keep aid budgets at reasonable levels, or for NGOs to raise the monies they need to operate, they have to make a case, which is to say they have to over-claim and over-simplify. But there are limits to such hyperbole, and if we have not gone beyond them already, we are certainly on the brink of doing so. It is one thing to overstate what can be accomplished with new relief programs and quite another to make claims about them that have virtually no chance of being realized. Starkly put, the problem is not exaggeration, but rather its corollary—the radical underestimation of just how difficult poverty alleviation, and development more broadly, really is. Yes, in the near term, pretending that there are relatively quick fixes to the problems of hunger or poverty may indeed make it easier to get monies appropriated for worthwhile programs. But since these problems are desperately difficult, over the long term promising that lasting success can be obtained quickly or reliably is far more likely to engender cynicism than solidarity. America is a long way from being the country of mechanics that Mark Twain celebrated in A Connecticut Yankee in King Arthur's Court. But Americans, like people everywhere in the rich world to a greater or lesser degree, are in love with quick fixes. As one relief officially put it to me recently, it is as if the rescue of the Chilean miners were a model for how we could ensure food security in sub-Saharan Africa or ensure livelihoods in Haiti. That is, the essence of what we have to do is simply find the right cutting-edge technologies and deploy sufficient money and bureaucratic energies to apply them; in short, that there is a technological fix on offer somewhere near, and that we are on the brink of uncovering it. It is this worldview that is at the heart of the approach both to global health and agricultural development that has been championed, and to an important degree underwritten, by the Gates Foundation, and which now informs the thinking of the major Western donor governments and of the United Nations system. The problem is that, for all its appeal, it is highly unlikely that any such technological silver bullet exists or ever will be found. In reality, even what at the time appears to be astonishing progress, over the longer term is often revealed to be a poisoned chalice. The paradigmatic example of this is the Green Revolution in Asian agriculture of the 1950s and 1960s. The new seeds, and the innovations in farming techniques that accompanied them, which were at the heart of the Green Revolution, appeared at first like an unmixed good. 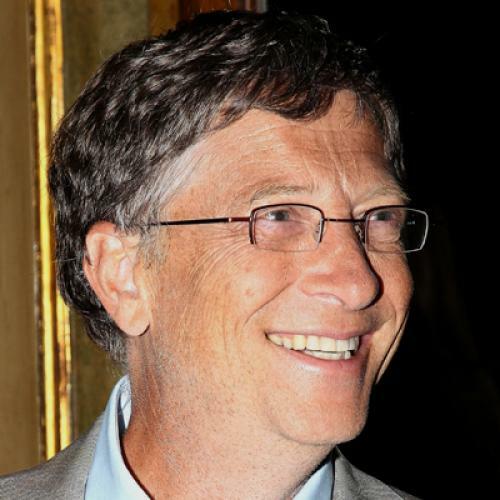 As Bill Gates put it in 2009, it “averted famine, saved hundreds of millions of lives, and fueled widespread economic development.” The problem was that these same techniques did lasting and probably irreversible damage to the aquifers in those regions, like the wheat-producing areas of the Punjab, where the Green Revolution had been most spectacularly successful. In fact, these new techniques made farmers dependent on chemical and petroleum-based fertilizers they could not afford, and which the new farming techniques that had made production far more efficient (above all, through mechanization) put millions of Asian farm laborers out of work. To use Gates example, then, the Green Revolution in Punjab did indeed fuel India’s economic development, but if anything further impoverished India’s rural poor. This is not to say that South Asia would have been better off without the Green Revolution, which is far more fairly described as having been both a triumph and a tragedy. But it is to say that even in this case, it was not a question of the choice being that one could opt either for being part of the problem or part of the solution, but rather a reminder that technological fixes are never enough by themselves, and rarely come except at a steep price. If we are ever to alleviate poverty successfully, we will have to abandon the fundamentally childish worldview grounded in the idealization of technical innovation and a refusal to think seriously about history (except the history of technology), politics, and culture, that the Gates Foundation’s efforts to date—for all their technical proficiency—have incarnated. Of course, given the power and influence the Gates Foundation now wields not just in Washington but also globally, this will not come anytime soon. (The man with the gold makes the rules, and all that.) In all likelihood, the next Green Revolution—if it succeeds it will almost certainly be along the lines of the largely Gates-funded Alliance for a Green Revolution in Africa—will have to be revealed as no more of a silver bullet than its predecessor of half-a-century ago for any serious reconsideration to begin. In the meantime, though, raising the public’s expectations of what aid can accomplish is almost certainly going to backfire when, inevitably, those expectations fail to materialize. If our policymakers cannot bring themselves to devise policy like adults, perhaps they could see their way clear to treating the public like adults and speak accordingly.